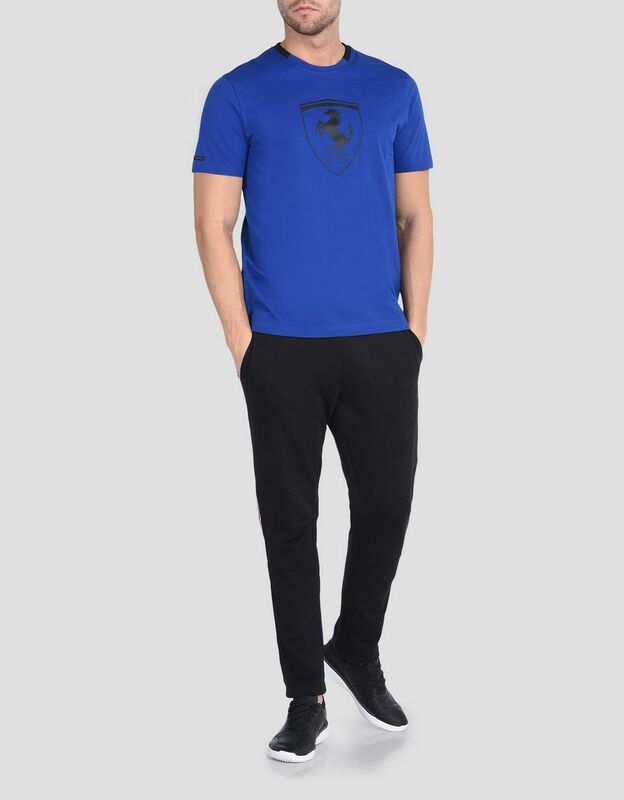 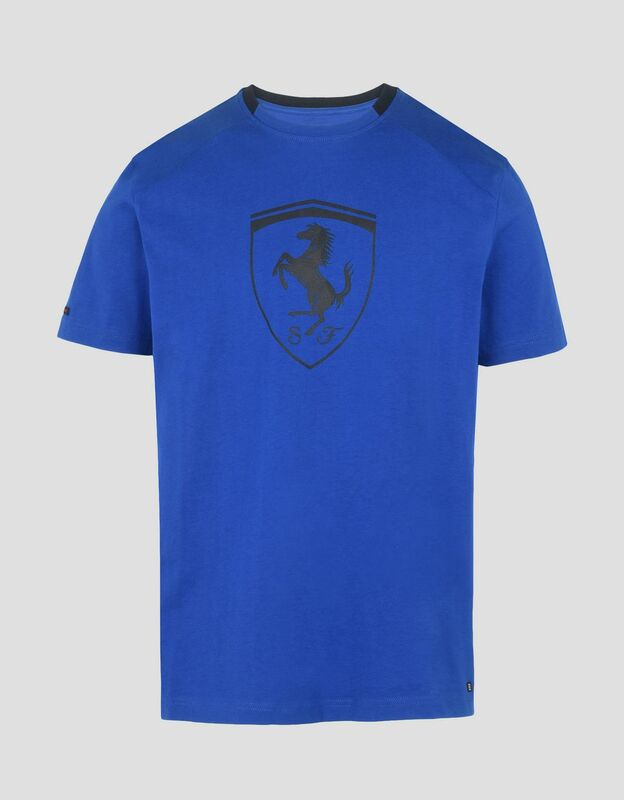 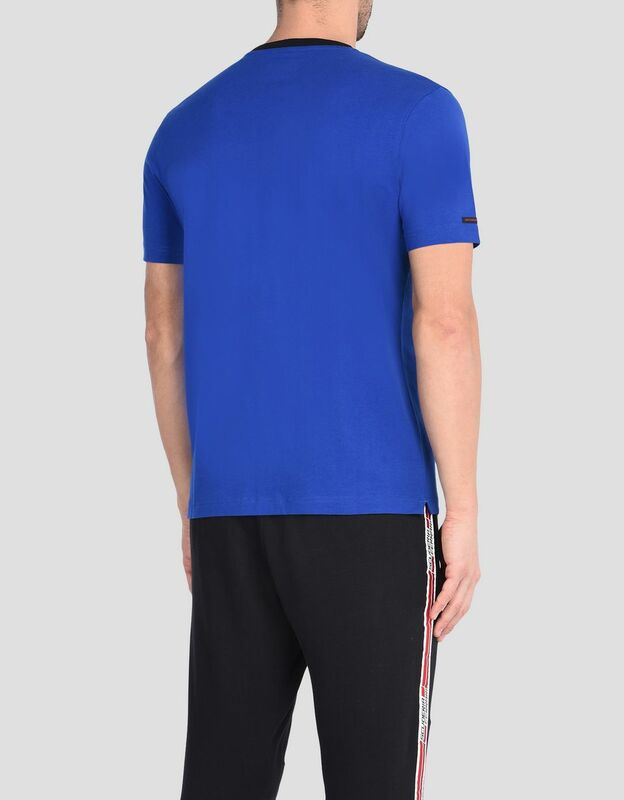 The solid color Scuderia Ferrari T-shirt is made unique by the large Ferrari Shield. 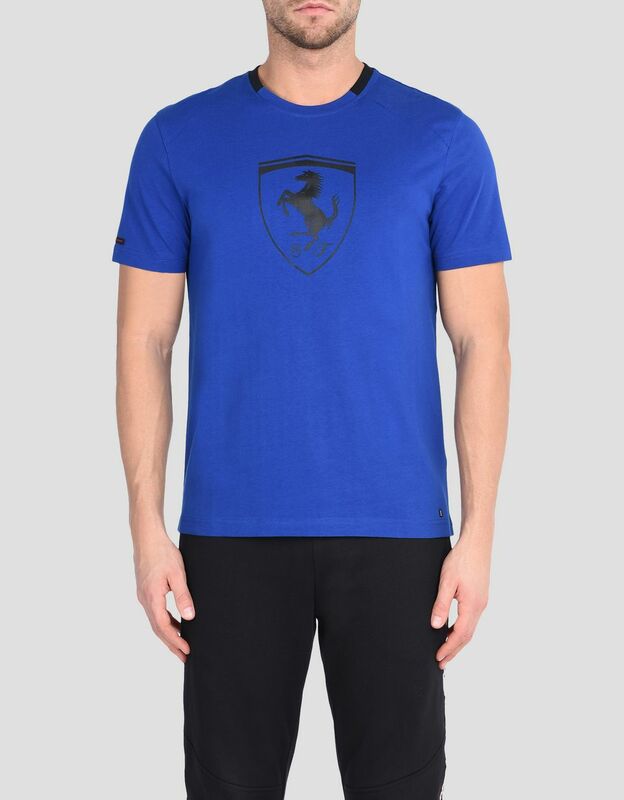 The iconic Shield, in large print in the middle front, is the main feature of this men's short-sleeve T-shirt. 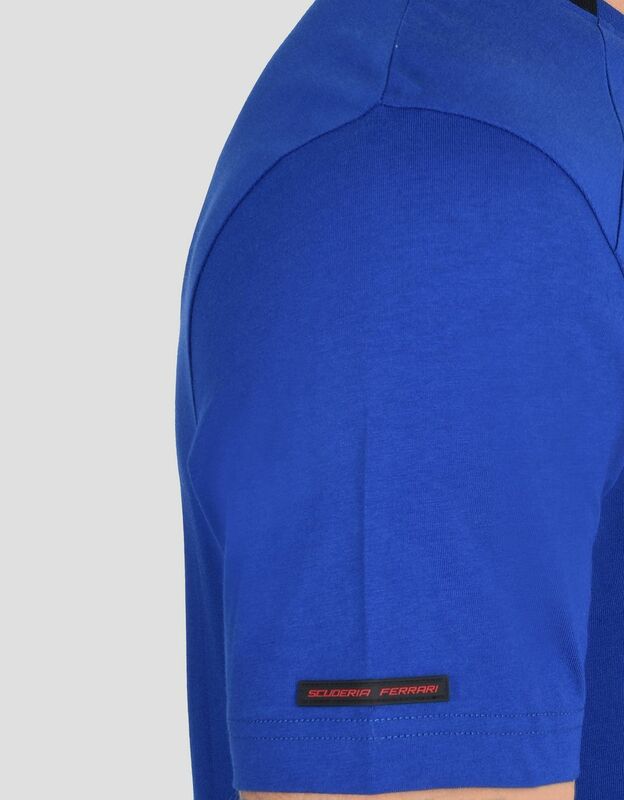 The rib knit collar in contrasting colors in on sides and back adds to the simple yet bold design. 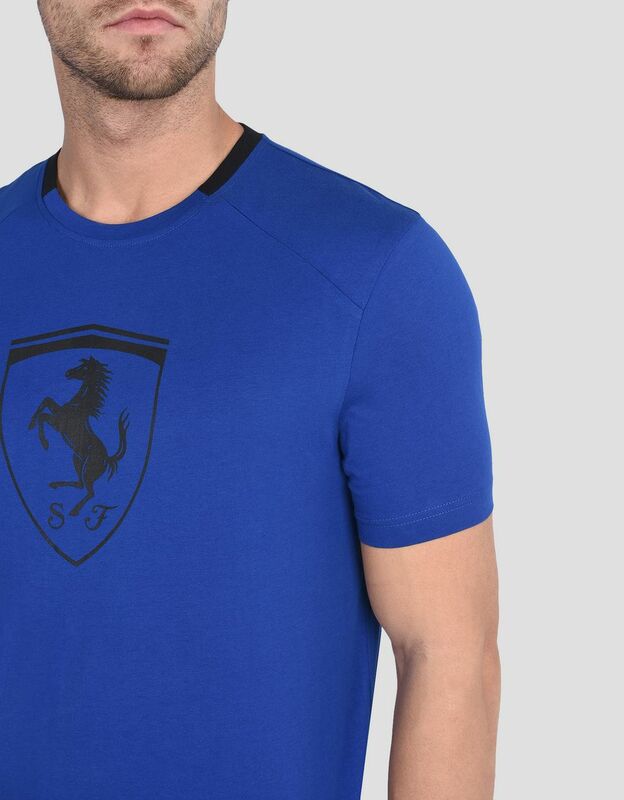 The design of this T-shirt, created to celebrate the passion for Scuderia Ferrari, is topped off by the label with logo on the bottom left and the Scuderia Ferrari label on the right sleeve.